Takeoffs can be incredibly dynamic. If you plan on using your bird photography for motivational posters, you’ll want to build up a good portfolio of takeoff shots. The easy part about shooting a takeoff is that you know where the bird is. Usually they’re standing on the ground or perched on something. 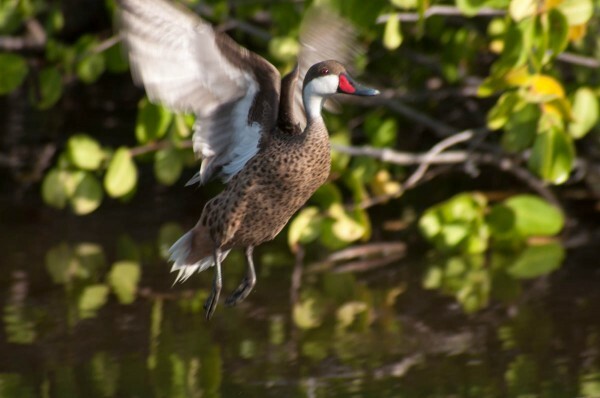 In some cases, the takeoff may involve a running start, but in most cases you are able to frame your subject and get focused before the bird is moving. Basically every other part is tricky. You don’t know when the bird will take off, although you may be able to get clues from the bird’s stance (a quick bend in the legs) a split second before takeoff. 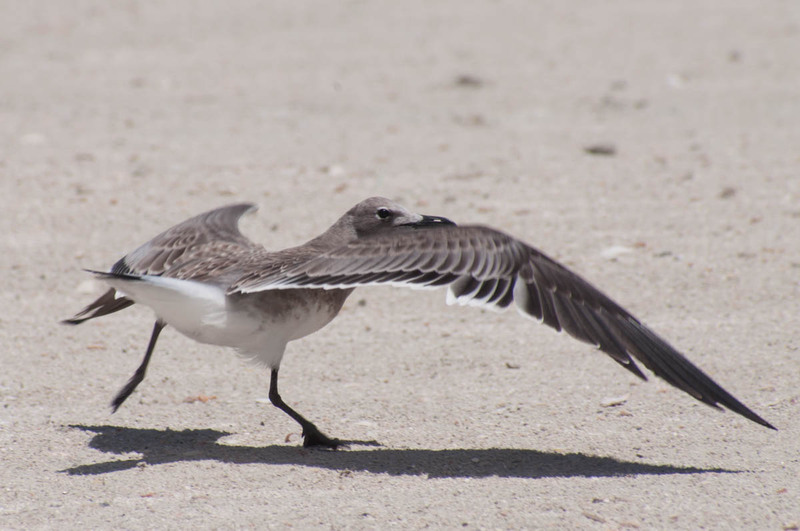 You don’t necessarily know which direction a bird will be flying, although if it is starting on the ground, up is probably one of the directions. Takeoff also has to be fast, otherwise it wouldn’t work. Wings are usually flapping quickly, even if the whole bird takes some time to gain speed. As a photographer, there are a few things you can do to compensate. To capture a takeoff you need to maintain focus on your subject lest you lose that magic moment. 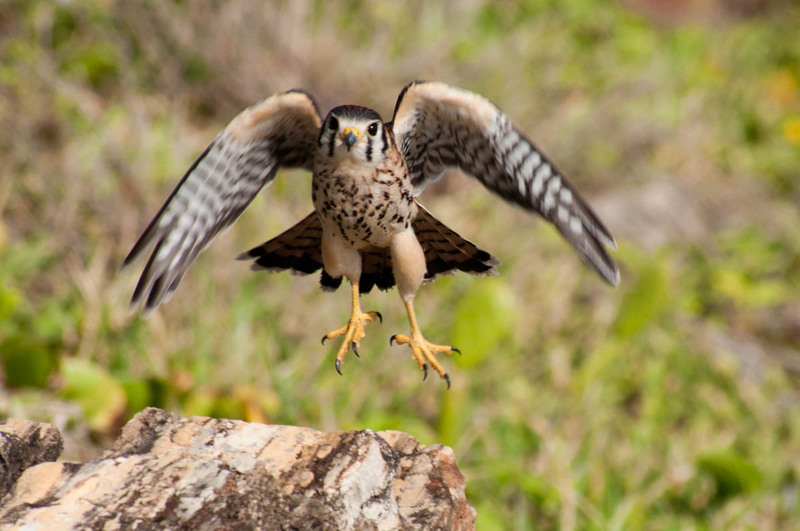 Using a fast shutter speed will help you freeze motion as much as you can, although you also need to maintain a reasonable aperture so the bird will remain in focus if its takeoff sends it towards or away from you. 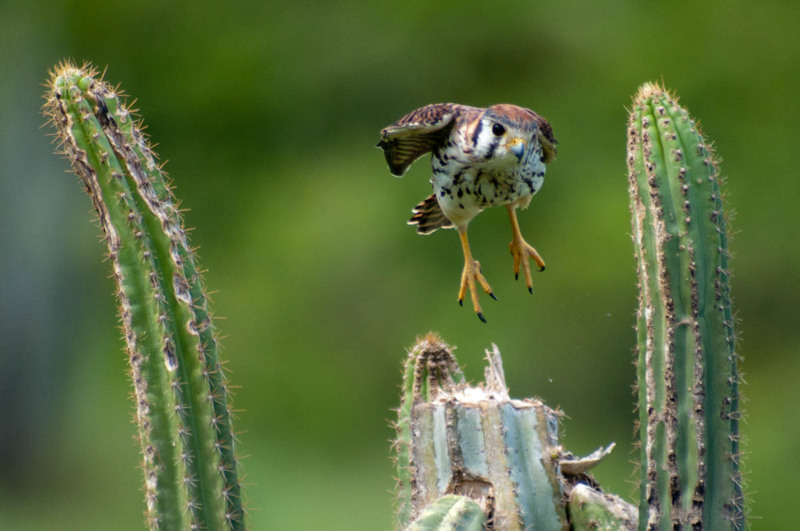 Since the bird in takeoff will be moving quickly, zooming out more than you would for a stationary bird will give it some room to move before it moves out of the frame. Of course, patience and perseverance are key, and takeoffs will always be unpredictable, but you can improve your chances of success with a steady gaze, a fast shutter and some breathing room in your composition. Zoom in on your subject to closely and it may start leaving the frame before your shutter snaps. 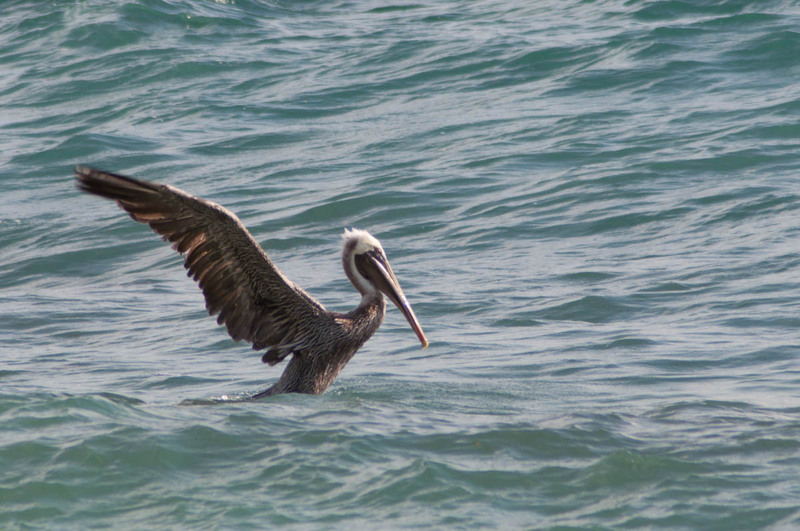 Large birds, like the Brown Pelican can take longer to get airborne, making it easier to photograph their takeoff. 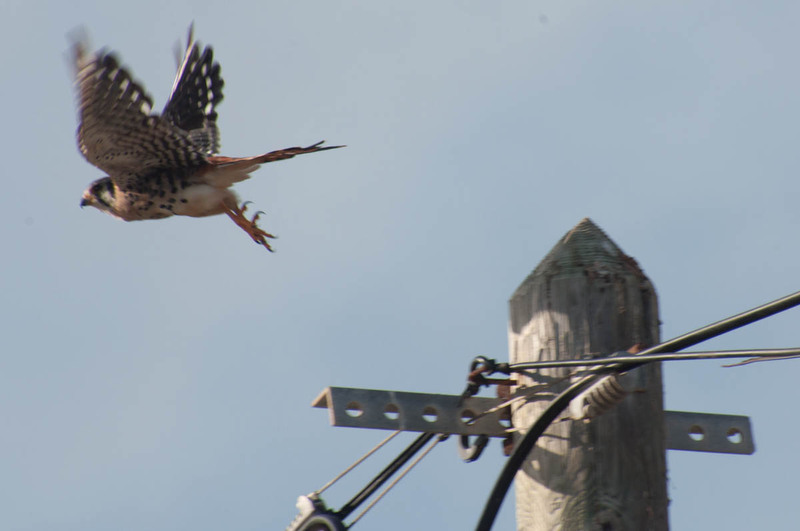 The American Kestrel takes flight with a short hop. Not all parts are moving with equal speed. 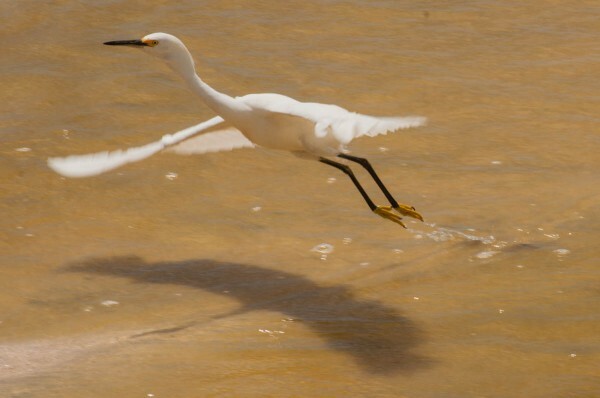 This Snowy Egret’s wingtips are moving much faster than the rest of the bird. Some birds prefer a running takeoff, which can offer some dynamic moments. In a split second, your subject can be out of focus and headed out of frame. A bird taking off towards you makes for a dynamic photo, but staying in focus can by tricky because the bird is flying away from the focal plane.